Himachal Pradesh has been facing heavy snowfall. In this season upper regions of the state has faced huge snowfall whereas lower areas also witnessed snowfall. Few places in Bilaspur district saw snowfall in 45 years. Reports suggested that Naswal, Kasaroo, Nihari regions of Bilaspur saw snowfall in this year’s winters. It is advised to tourists to avoid traveling to hills right now as weather is not so good and may worsen after Thursday. The capital city saw a low of minus one degree Celsius, recorded mild snowfall, while Kufri and Mashobra recorded moderate snowfall on Monday too. The snowy landscape in Shimla would stay for two-three days, the official said. Reports said some of the areas in apple belt Jubbal and Kharapathar also experienced snow. 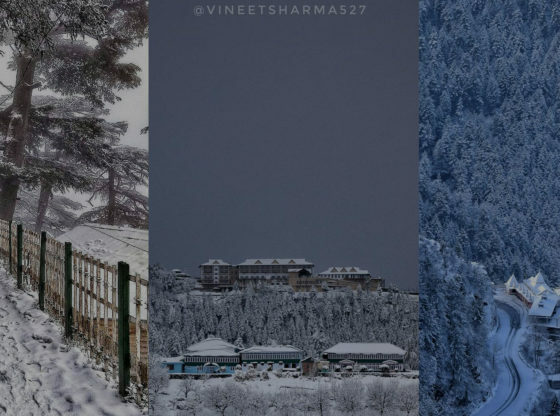 Manali experienced a low of minus 5.3 degrees Celsius, while it was 1.8 degrees in Dharamsala, minus 5.8 degrees in Kufri and minus 1.3 degrees in Dalhousie. The majestic Dhauladhar ranges in the Kangra valley got a fresh blanket of snow cover.